Will My Bankruptcy Filing Ruin My Credit Score? This is one of those questions that I receive often from my chapter 7, chapter 11 and chapter 13 bankruptcy clients. 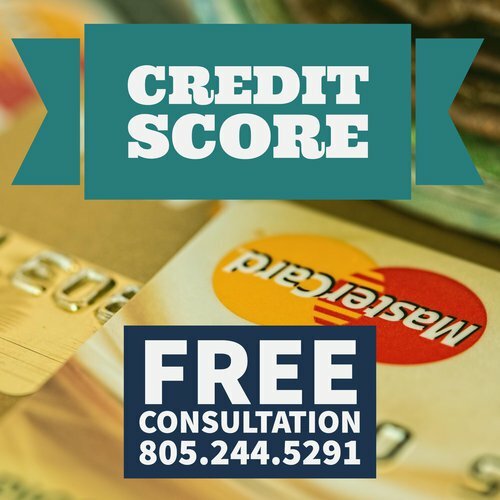 It’s a reasonable question, and one that is furthered by attorneys every day, who tell their clients that their credit score will be damaged and that the client will be unable to obtain credit for seven to ten years after their filing. Now, for some facts: it is true that your bankruptcy filing will remain on your credit report for ten years. However, the most damage is done in the first year, and after two years the impact begins to fade. But realistically, what happens in most consumer bankruptcies, particularly in Chapter 7 bankruptcy filings, is that the client enters the bankruptcy with 4, 5, 6, or even a dozen outstanding credit card and department store accounts, all of them 30, 60, or 90 days late – or later. Then, once we file your bankruptcy, all of those accounts show up on your credit report as “included in bankruptcy (IIB).” IIB accounts do not show any late payments or open balances. Instead, your credit report now shows the bankruptcy and a bunch of IIB accounts. I have seen people who emerge from bankruptcy with FICO scores above 700 (if they went in with high scores to begin with). I will enroll you, at no cost to you, in the "Sevn Steps to a 720 Credit Score" online program once we're done with your bankruptcy. You will learn EXACTLY how to ethically and easily raise your credit score to over 720 in 24 months or less (ofetn 12 months) after bankruptcy. And it’s essential to begin growing your credit once again. Many card issuers will offer new cards (but be careful of the predatory ones with no grace period or high annual fees), or you can get a secured credit card. All of these will begin rebuilding your credit after your bankruptcy filing. I will teach you (through the program) which are good cards and which will actually hurt you in your recovery. So remember to breathe! A bankruptcy filing, while scary, is actually not the end – it’s a new beginning, and a fully moral and ethical way to get out from under impossible payments. For your free, no-obligation bankruptcy consultation from a Ventura Bankruptcy Attorney send me an email. I love talking to people and explaining how bankruptcy may be able to help them sleep at night again.